One of my favourite MC/producer of the moment is Moka Only. Smooth lyrics about girls, music, travelling, everyday life and cool jazz beats is the recipe of this Canadian, whoâ€™s co-founder of the Swollen Members and now (2004) joined the group again after goin solo. 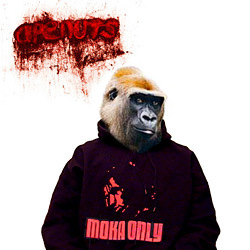 'Apenuts' is one of the many albums Moka has released between 1995 and 2001, but most of them were just tape-releases and only circulated in the Canadian underground (the first marketed release is 'Lime Green' on Battle Axe Warriors). Cyant Rush' has Moka singing on the chorus emerging the listener to forget the rush of todayâ€™s society. Singing the chorus is one of his trademarks, but instead of soundin corny it really adds a soulful vibe to the whole. A really, really dope song is 'Best Thang' with an incredible guitar sample, damn, that beat keeps hanging in your head time after time. It adds a sort of Latin touch to the album (also the first instrumental skit 'Interlude' has that same Latin vibe). Moka always manages to add an extra musical element to his music; for example on 'Obvious' we find him whistling along with the beat. Typical Moka Only. 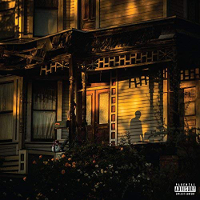 The track 'Maijic' has a melancholic horn, Q-Tipâ€™s voice sampled in the chorus and Moka claiming to hold on to the magic (read: music) in his life. It creates, in opposite to the other tracks, a kind of melodramatic atmosphere. 'Apenuts' is a 100% Moka Only album (without any guest MCâ€™s ! ), full of quality jazz hip hop, turning your head in a sunshine state of mind. 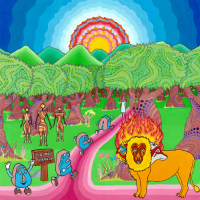 Whenever youâ€™re mood is low, pop this album in your deck (this album doesnâ€™t exist on vinyl) but donâ€™t forget to check out other Moka releases!